The worm poop is raining down like a black sleet storm. Got to remember not to open mouth while looking up. A little over a month ago, I received an email from a neighbor about some caterpillars that were “munching their way thru one of our catalpas”, along with a photo. He also mentioned he had heard these were considered “the gold standard of live bait.” And he was right, they were, indeed, the famed “catalpa worms” (also called catawba worms), a species I had always wanted to see up close. I had seen evidence of their feeding many times, but the caterpillars were always too high up in the tree to photograph. As luck would have it, time slipped away and I did not get down to my neighbor’s place in time to see that batch of caterpillars. 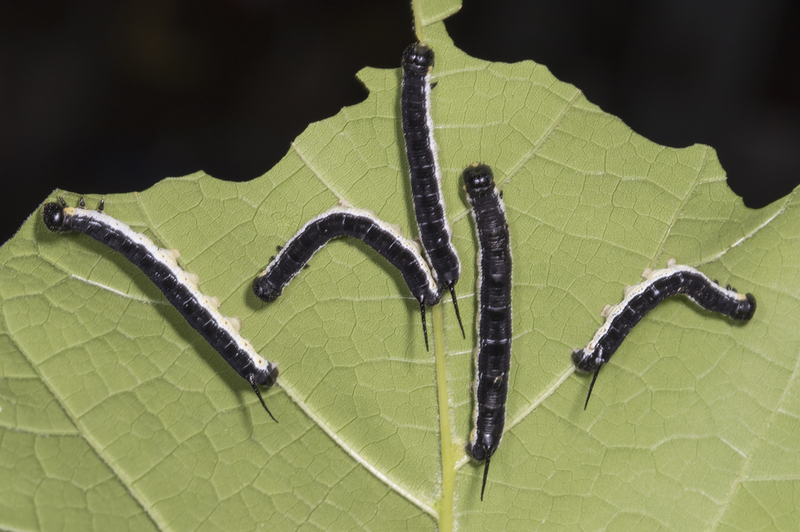 But, last week, I went down to get a couple of plants at his nursery (Cure Nursery, a native plant nursery) and was stunned to see another group of early instar caterpillars on those same Catalpa trees. I was stunned because I always assumed there was only one generation per year, as the few trees I have seen around here are always stripped of all their leaves by June or July. In fact, the caterpillars will probably not survive on my neighbor’s trees because the leaves have all been stripped and have barely started to leaf out again. Those few leaves will surely not be enough feed all of these caterpillars. So, I gathered a few of the larvae up and managed to collect a few leaves from sapling sprouts at another roadside location. 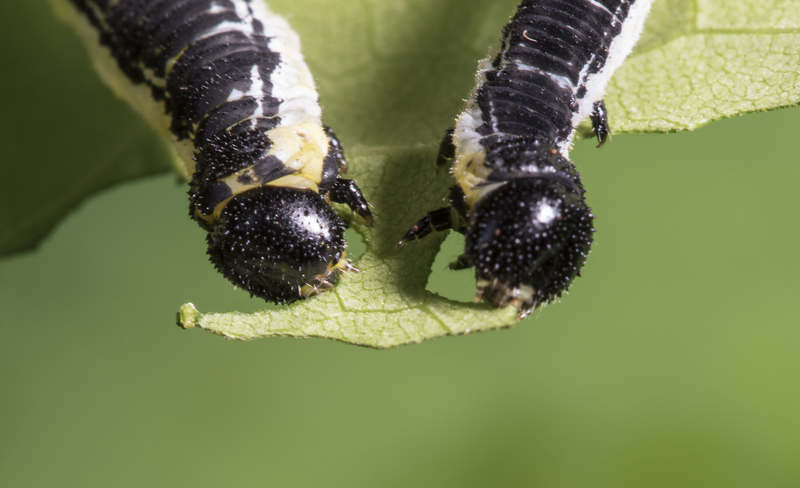 These boldly patterned larvae are actually the caterpillars of the Catalpa Sphinx, Ceratomia catalpae. Female moths lay large clusters (sometimes numbering in the hundreds) of eggs only on Catalpa trees. 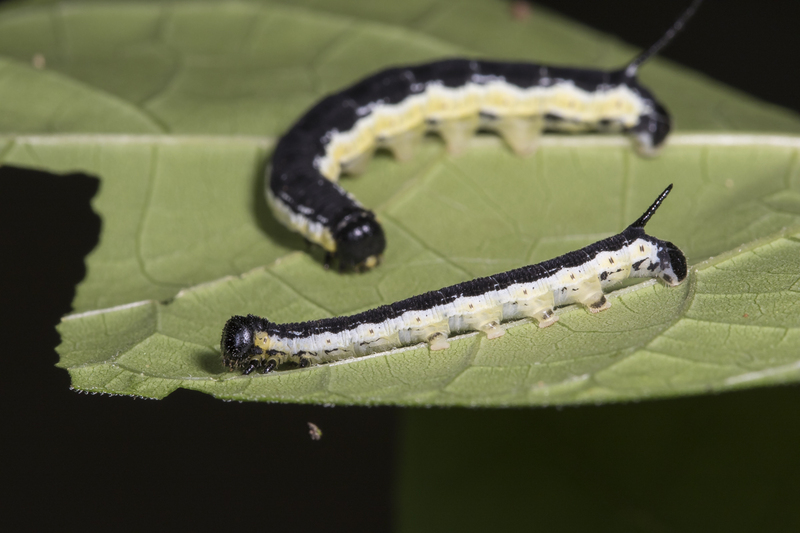 Early instars of the larvae feed in groups, turning to solitary feeding in their later stages. 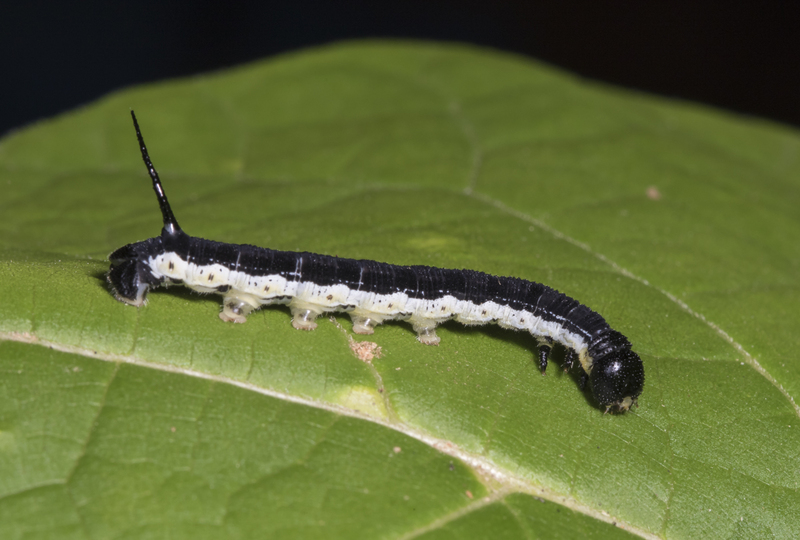 As with most members of the Family Sphingidae, the larvae are adorned with a prominent tail spike, which seems exaggerated on the early instars. And, like most caterpillars I have seen, these guys are eating machines. In the short time I was photographing them, just a few managed to consume about half of one of the large leaves I collected. And when they eat, they poop (you can see some frass, caterpillar poop, in the first photo of this pair). So, if you are standing under a large Catalpa tree having perhaps hundreds of large caterpillars up in its branches, I suppose it can sound like rain pouring down. Caterpillars eventually climb down the tree trunk and pupate in the ground nearby. And, surprisingly, it is common to have two or more generations in a season. In looking online, it seems the large (up to 3 inches) caterpillars are, indeed, a favorite of fishermen. In fact, their value as fish bait (especially for bass and catfish I am told) was mentioned when the species was first described in the 1870’s. Apparently, the skin is tough enough to hold the larva on a hook better than many live baits. 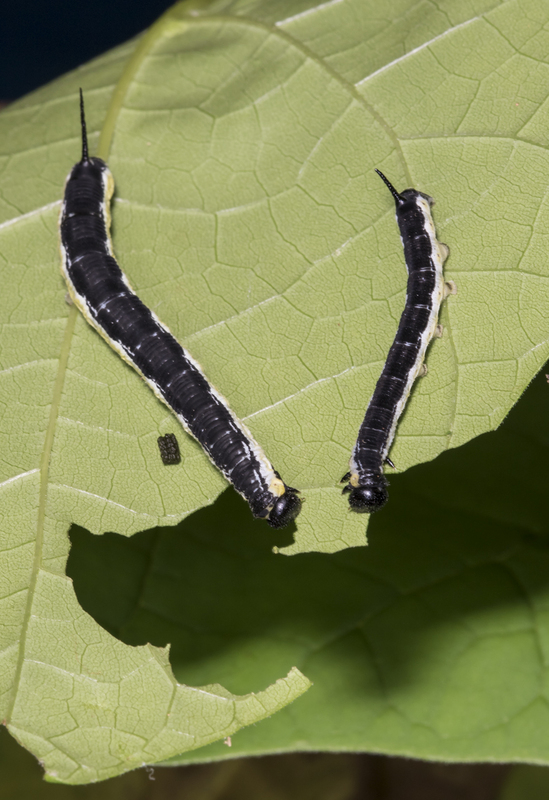 So, whether the caterpillar is a pest when it defoliates your Catalpa, or a valuable commodity, depends on your perspective, as is so often the case when it comes to things in nature. For me, it’s enough to just have the chance to finally see some of these beauties up close. 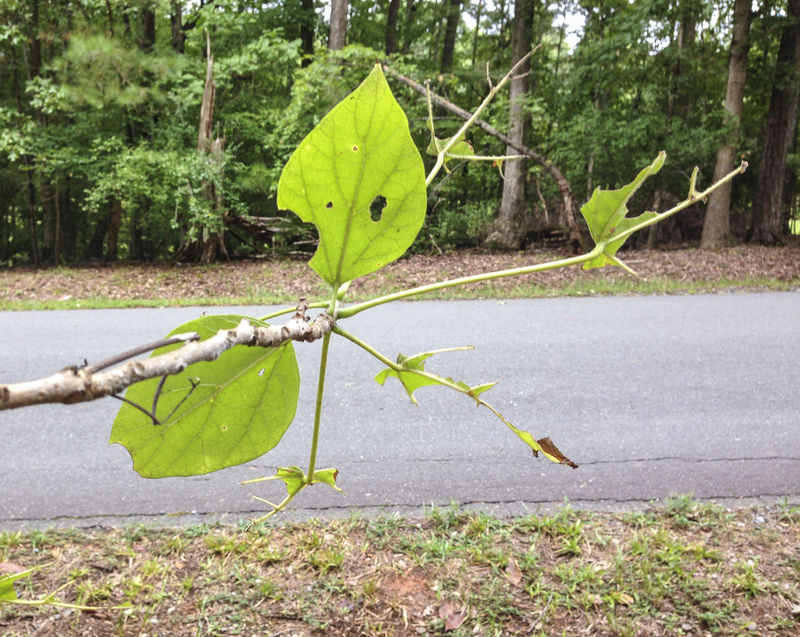 This entry was posted in Natural History and tagged catalpa sphinx, caterpillars by roadsendnaturalist. Bookmark the permalink. A very attractive caterpillar at that!